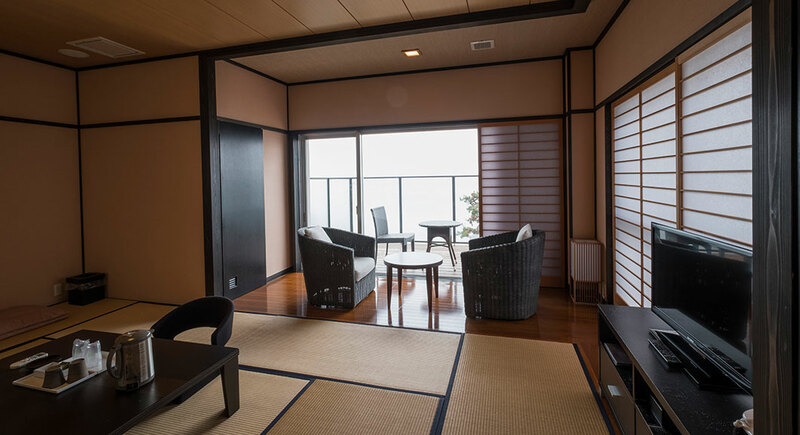 A vast and tranquil panorama of the sea expands outside your window. 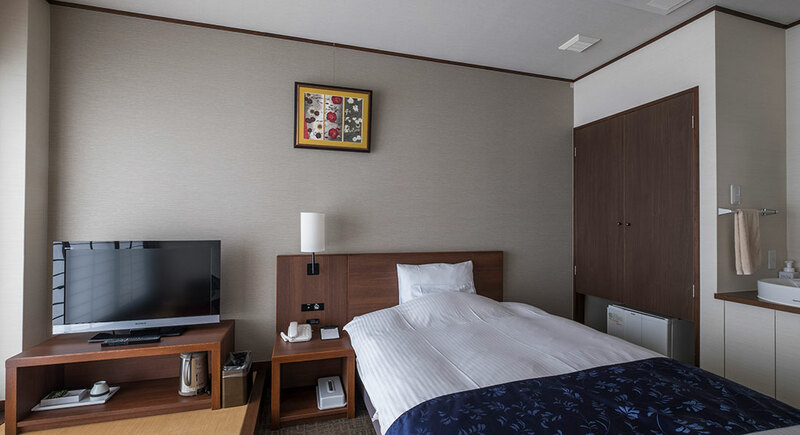 Our guest rooms feature a clean and relaxing atmosphere in a modern Japanese style. Our ocean-view rooms with decks are a popular choice. 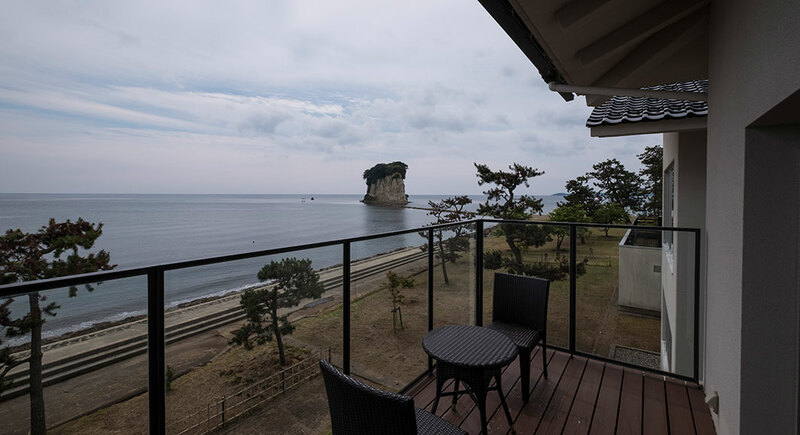 See Mitsukejima Island up close throughout the day and the soft murmurs of the Noto waters. On clear days, you can even catch a glimpse of the Tateyama Mountains. Savor the one-of-a-kind vistas of the region. 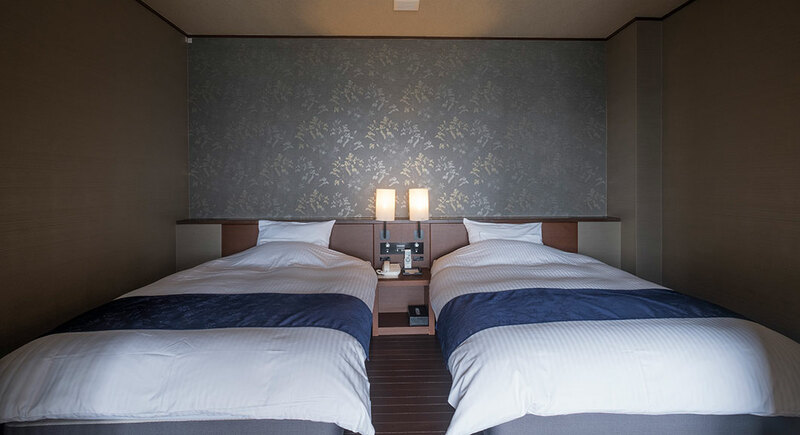 This guest room features a bedroom with two semi double beds and a Japanese-style room in which you can unwind. This is our finest room type. 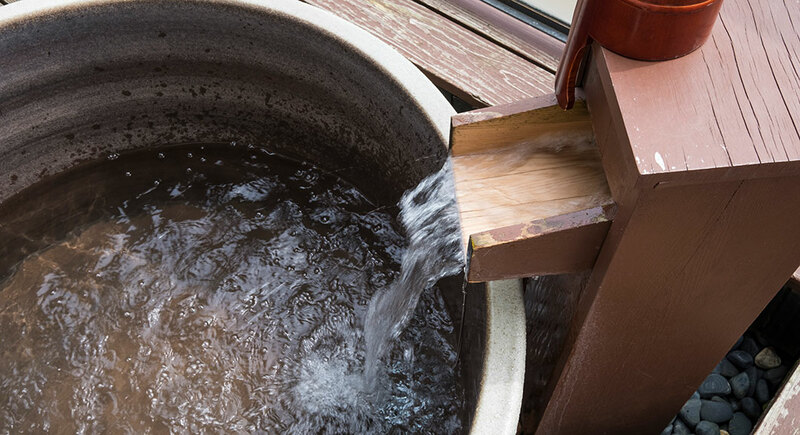 The resort-style bathroom is like being right at a hot springs. 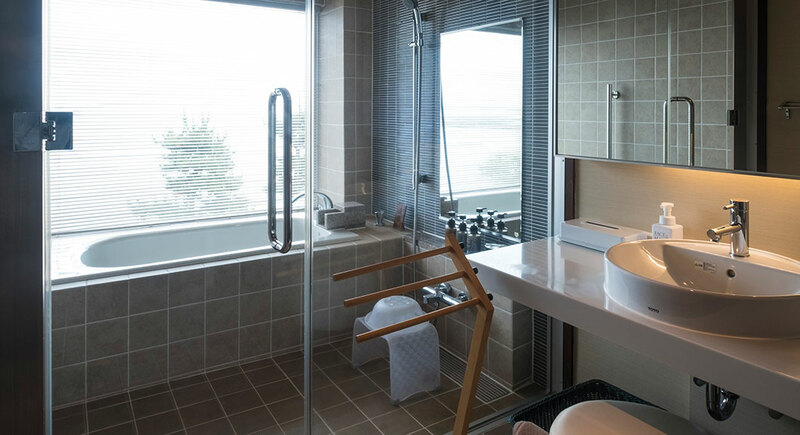 This Japanese-style room features a private outdoor bathtub that is quite spacious. 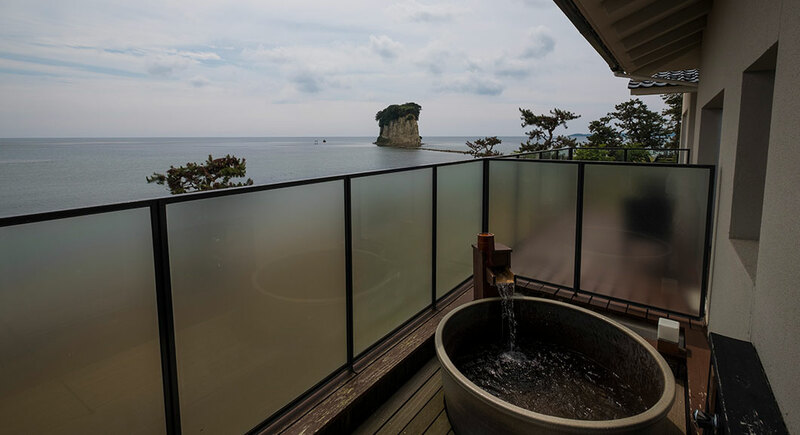 Enjoy views of Mitsukejima Island and the sea all to yourself and soak in the tub with the lapping waves in the distance. 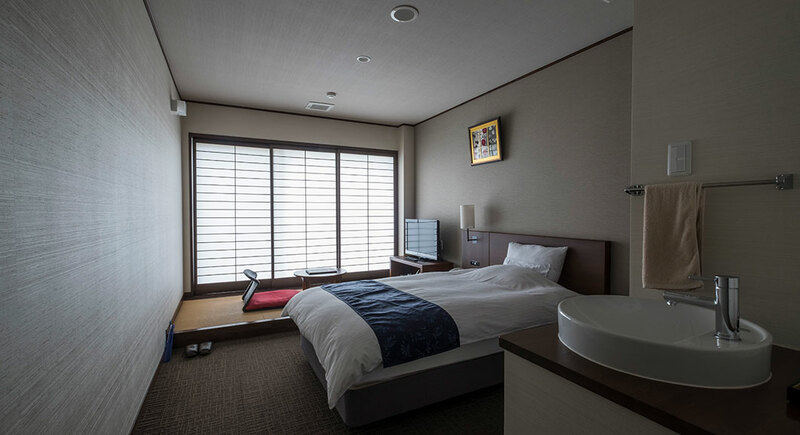 This guest room features two semi double-beds and a 3-tatami mat space. 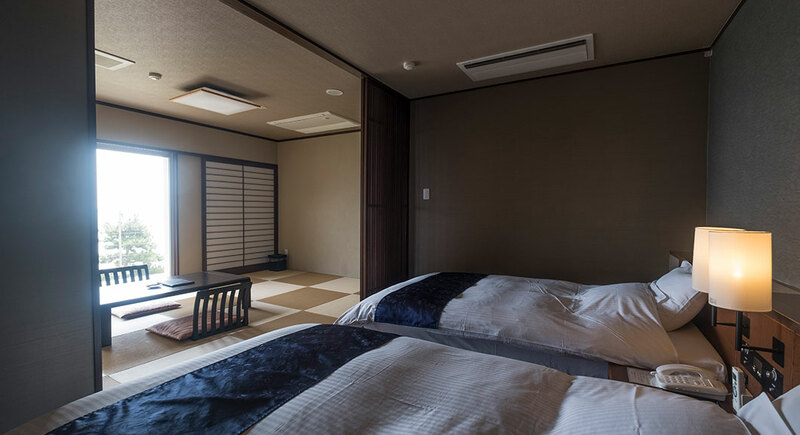 You can place cushions on the tatami mats, making it a popular option for families with young children who like to play on the floor. 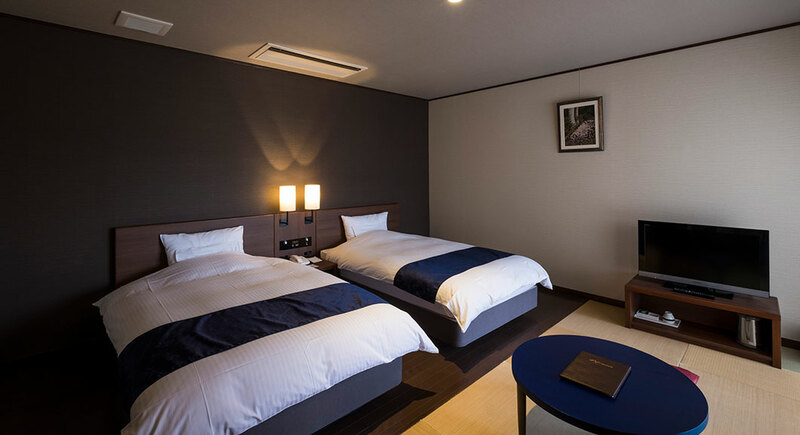 In addition to a semi double bed, this room features a 3-tatami mat area and offers a simple space. This room would also make a good choice for the business traveler. 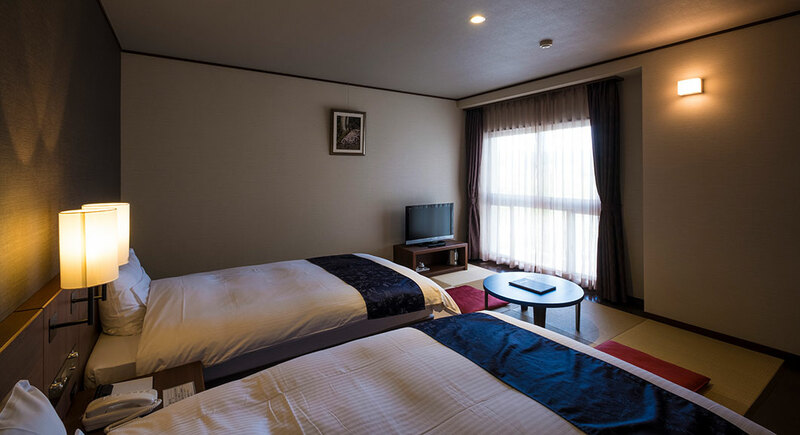 We also offer other styles of room (single and twin rooms facing the mountains, and Japanese rooms).